Move in ready!This home features a private fenced in back yard with a conservation view and a large lanai. 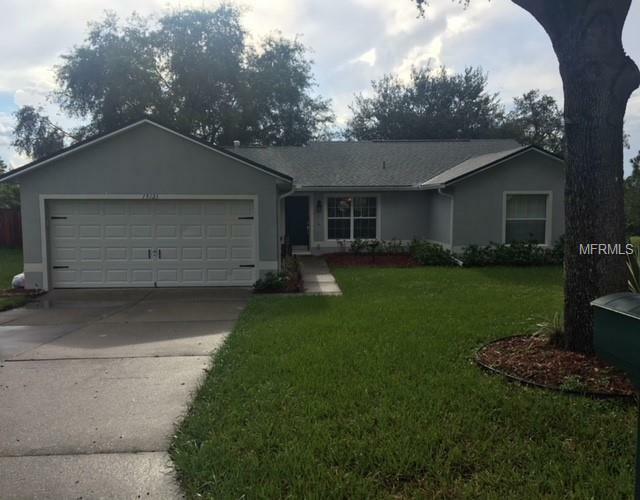 Freshly painted exterior 2018 Brand new roof 2017 New A/C 2013 Central Vac throughout the home.Tile and wood Laminate throughout home. Master bath features a large garden tub a separate water closet and a large walk in closet! Large laundry room has cabinets for great storage.